Two reports have been published today, 20 July, which explore the cost of childcare ahead of the start of the school holidays. 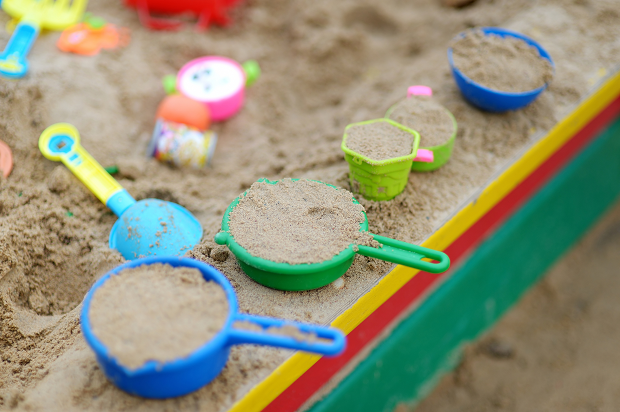 The Family Childcare Trust (FCT) report claims that 88% of councils do not have enough holiday childcare places to meet demand. It does point out that the price of childcare is falling, however. A new survey from the Joseph Rowntree Foundation suggests that the cost of childcare means that some working parents find it hard to maintain a decent standard of living. The reports have been covered by BBC outlets including BBC Breakfast, BBC online, BBC 5 Live and the Today programme. The Guardian has run an online story and the Sun has also run a small piece in today’s paper. We are clear that access to high-quality, affordable childcare is vital for millions of parents and carers across the country. Councils have a legal duty to provide childcare for children up to age 14 for parents who are working, studying or training. Investing £1 billion more in childcare provision each year by 2020 to help families who work, doubling free childcare to 30 hours a week for parents of three and four-year-olds. Introducing tax-free childcare worth up to £2,000 per child per year and up to £4,000 for disabled children. Offering 15 hours’ free childcare each week for all three and four year olds, worth up to £2,500 per child per year. Providing 15 hours’ free childcare every week for the most disadvantaged two-year-olds, with around 70% of eligible two-year-olds taking up the entitlement. Helping with up to 70% of childcare costs for people on low incomes through working tax credits. Introducing a ‘right to request’ for parents to ask their child’s school to provide wraparound childcare to fit in with parents’ working hours. We are doing more than ever before to support the families that need it most with the cost and availability of childcare. We are investing an extra £1 billion per year by 2020 to help working families, doubling the free offer to 30 hours a week for parents of three- and four-year-olds and introducing a ‘right to request’ for parents to ask their child’s school to provide wraparound childcare to fit in with parents’ working hours. We’re pleased to see that the cost of holiday childcare is falling, but we know that there is more to do. Councils must provide childcare for children up to age 14 for parents who are working, studying or training and we are helping schools to offer after-school and holiday clubs. We know that access to high-quality, affordable childcare is vital for millions of parents and carers across the country. We are doing more than ever before to support the families that need it most with the cost and availability of childcare, but we know that more needs to be done. That’s why we are increasing the support available to parents by doubling free childcare from 15 to 30 hours for working parents of three and four year olds, introducing tax-free childcare worth up to £2,000 per child per year and up to £4,000 for disabled children, and this government is increasing support for low-income parents on Universal Credit. Councils must also provide childcare for children up to age 14 for parents who are working, studying or training and we are helping schools to offer after-school and holiday clubs. The Education Secretary announced yesterday, 19 July, the appointment of Amanda Spielman as the next Ofsted Chief Inspector. The Privy Council confirmed Ms Spielman’s role as the Chief Inspector of Education, Children’s Services and Skills (HMCI). Her appointment followed a rigorous recruitment process and was welcomed by Secretary of State Justine Greening, who said she was ‘delighted’ to announce the news. This was covered in the TES, Schools Week and FE Week. I’m confident Amanda Spielman is the right person to lead Ofsted and I look forward to working with her. Ofsted’s role is vital in challenging schools, childcare providers and social services to ensure every child reaches their full potential. I am delighted to be confirmed as the next Chief Inspector of Ofsted. I have seen firsthand the impact a great education can have and I want this to be the norm for every child, with childcare providers laying the foundations for that experience while social care services deliver for the most vulnerable young people. I’d also like to pay tribute to Sir Michael Wilshaw for his efforts in holding those sectors to account and I look forward to building on that work. Amanda Spielman will make an excellent Chief Inspector. She has a demonstrable passion for education and a great deal of experience in running complex organisations. She will bring her strategic skills to all of Ofsted’s work including early years, social care, schools and further education. I am delighted that her appointment is now officially confirmed. More detail on our 30 hour free childcare offer can be found here.